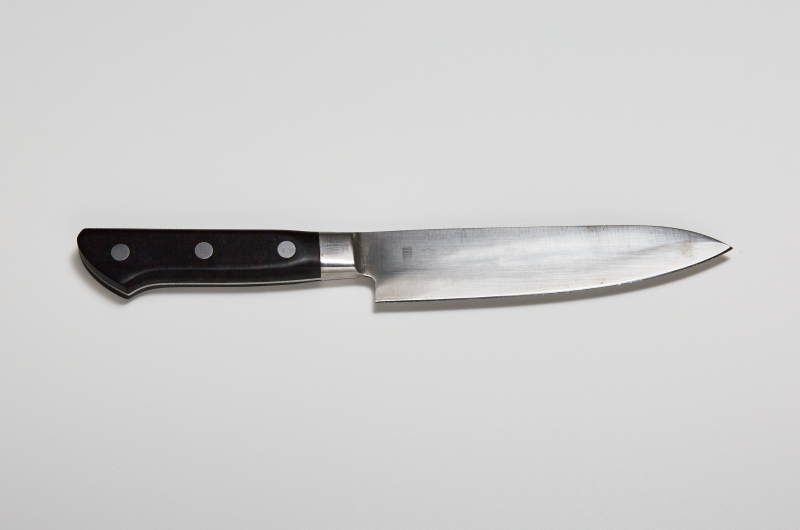 Beyond a single knife, while thinking of its user, TOJIRO continues to manufacture knives. Person to person, person to knife, both are “once in a lifetime”. To enrich such encounters, we manufacture knives. 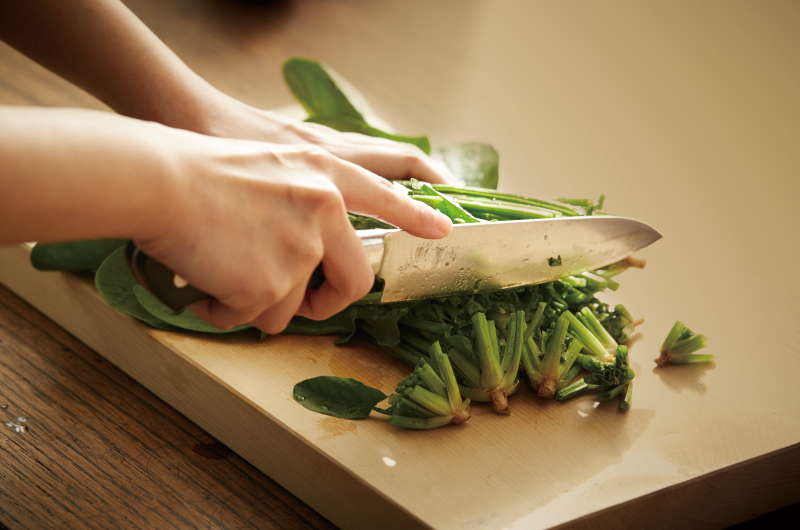 The history of TOJIRO knives started with stainless steel fruit knife that was released in 1955. At that time, it was said that stainless steel blades were not sharp enough compare to carbon steel. Therefore, TOJIRO pursued in earnest “cuttable knives”, realizing continuous improvement and evolution. Today, our corporate message is “More than just sharpness”. We wish to deliver not only sharpness, but the feeling that a knife fits comfortably in your hands as you use it, becoming your partner. We are continuing our efforts to carefully manufacture knives so that a single TOJIRO knife can provide the greatest satisfaction to our customers. 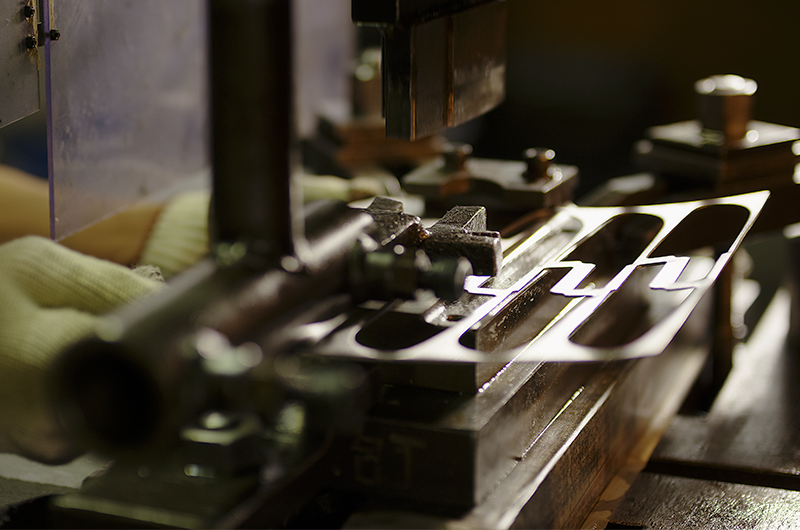 Both tradition and innovation are being existed in our manufacturing process. Clad steel is the material that we use most in our production. It is forged in the same way of forging a traditional Japanese sword “Katana” from Tamahagane. 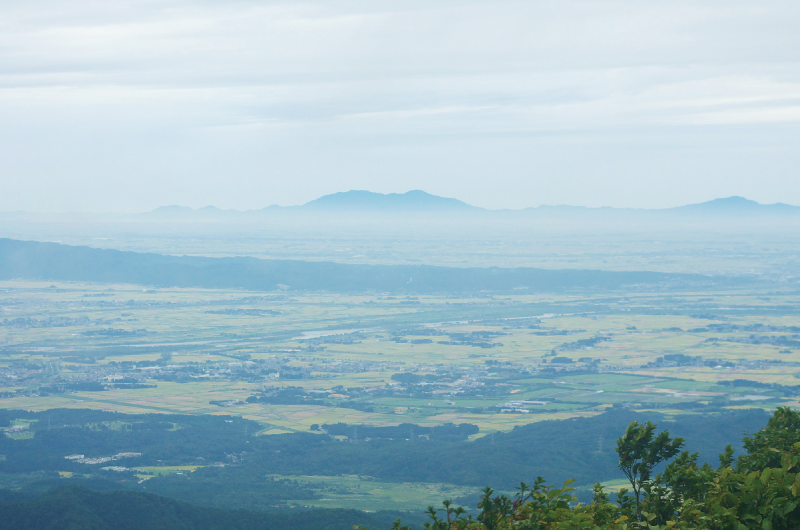 On the other hand, our area, Tsubame in Niigata Prefecture, is well-known as a center of manufacturing metal products. Modern technology of metal processing has been therefore improved over the decades in here and we are good at it. Here we merge the tradition and the modern technology – pressing out sheet of clad steel by stamping machine. In other words, we are taking advantage of quality of clad steel and high production efficiency of modern machines. Although machines have allowed the process to become more efficient, the deciding factor lays, of course, in the skill and instinct of craftsmen. 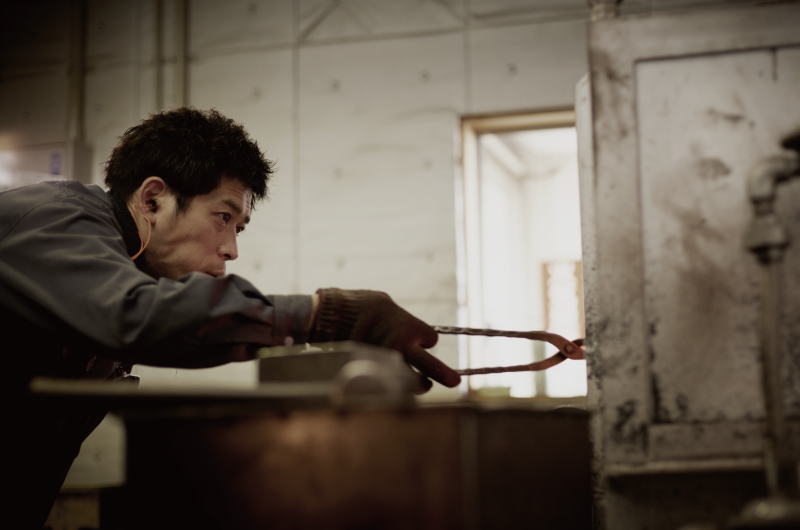 As knives are tools that people directly take into their hands to use, we value the skills of producers, which are the foundation of manufacturing, and keep a close eye on all processes until each craftsman at TOJIRO is completely satisfied. Our knives that are produced by traditional techniques and modern industrial technology are held in the highest regard not only in Japan, but around the world. We, TOJIRO, will continue to strive for a balance between inherited tradition and technical innovation as one of the few full-scale production kitchen knife manufactures in Japan. The craftsman at TOJIRO would like you to feel the “joy” of using a tool with attachment. They hone their skills to manufacture worthy knives daily. As long as we are craftsmen, the road to improving our skills will never end. We are earnest about making knives daily for users. A product born such devotion is a message from maker to customer. We continue to manufacture the highest quality knives in this region where the spirit and techniques of manufacturing have been handed down since ancient times. Tsubame, where TOJIRO is located, is a metal-processing industrial cluster area known as “Tsubame-Sanjo”. Since manufacture of Wakugi (Japanese nail) started in the early 1600s, knives, flies, pipes, copperware, metal-carving, cutlery and other products have been manufactured here, and have increased in export. TOJIRO has delivered products from the representative production area of Japan to the world, where professional vendors of each process have developed techniques and spirit together through friendly competition.